DirectSMS is a medium sized Australian bulk SMS provider offering good features and services for both small businesses and large companies. Our Australian Bulk SMS Comparison table found this provider charges for text messaging was higher than its competitors. From an independent review carried out and tabulated into Bulk SMS Australia Comparison table, DirectSMS offers a range of good bulk text messaging services that could meet your needs from a promotional or marketing perspective to an information tool for clients, customers and stakeholders. They provide an online bulk SMS service which allows it to send and receive, on your behalf, text messages via any web-enabled computer without the need of any special software or setting up by you. All this service is provided with a 100% money back guarantee. Bulk DirectSMS has powerful features that are easy to use with a dedicated local support via email, live chat and phone. Able to claim as the only Australian SMS provider to offer 100% Money Back Quality Guarantee Service. DirectSMS provides a seamless integration with any email software with any major Australian gateway provider. This way this SMS Bulk company can save, store and manage your contacts. So, when sending an SMS is required to be distributed it is only a matter of a short period of time for the distribution to take place. Our DirectSMS review showed that this company offered just more than the basic bulk service. It is able to provide an inbound MMS facility. It can receive from you images, pictures, videos or any new multi-media files that can be transmitted like a text message to reach specific groups of people. It has another option available and that is to connect effectively to groups of people. Additionally, you or the client can re-brand, if necessary, with your own logo design or various colours using the DirectSMS portal. From a comparative perspective using a grading of 0 to 100 and representing the range of features offered by DirectSMS, it can be seen on the chart below that this company provides a very good range of features available and is better than some of its competitors. 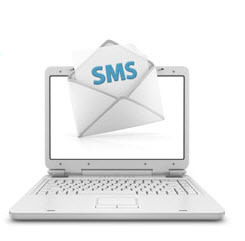 DirectSMS offers all year round bulk SMS service through its Australian facilities. From an independent assessment of its range of valued features outlined in the comparative survey, our DirectSMS review found this company worthy of consideration. However, unlike other bulk text massage providers, the optional extra charge for developer API needs to be taken into account. The DirectSMS review of a range of good bulk SMS Australian providers found they are not cheap in terms of their charges. In fact, DirectSMS charges for the distribution of SMS are between 15% to 30% more costly whether it is for small or large volume distribution in a month compared to the other bulk providers investigated. Their virtual number charges is the highest of all the other SMS providers. Additionally, even though the developer API is optional it is another cost that needs to be considered. This matter need to be considered prior to engaging DirectSMS. Having a limited 15 day free trial and no keyword response SMS feature, again these are some factors that need to be considered by any prospective client. Having unlimited credit validity is good as well the provision of no contract, no cancellation fees and discount makes it somewhat attractive. Using a graphical method of illustrating the ranking, DirectSMS higher fee structure has a major bearing on its ratings. The reliability of DirectSMS can be gauged by its popularity of companies who use this bulk SMS service whether they be the over eight thousand small, medium to large Australian businesses such as Elders, ToyRus, nab, Jetstar, Allianz or LJHooker. The fact that this company provides so many powerful features yet simple to use with a dedicated local support whether it be though email or live chat or by phone shows the confidence of its reliability. Of course, the 100% money-back guarantee uptime, performance and customer satisfaction is the best indicator of its value as a reliable bulk SMS distributor. From a compliance regulatory perspective, it does provide a policy on the General Data Protection Regulation (GDPR) which is a regulation on data protection and privacy for all individuals and also addresses the export of personal data. There was no obvious evidence of any anti-Spam compliance. Like the major bulk SMS providers investigated DirectSMS reliability is excellent and is ranked highly among its competitors. As an Australian company it has a dedicated customer call centre on 1 300 724 387 which will be able to assist whether it be to start a SMS campaign or on going communication matter. They provide a free trial of 15 SMS when you log in for the first time to show how reliable they after signing up. This offer is not as generous as some of its competitors. An immediate pop-up screen will allow you to chat about DirectSMS bulk offers and services provided. The website provides opportunities to contact them whether it is on Facebook, Google+ or Tweeter. You can only comment on their Blog site and provide a review as can be seen by the positive reviews made by their clients. On a rating for support and help provided, Direct SMS scored very well indeed. 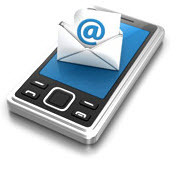 An independent, unbiased group of SMS experts (who now work in other IT areas) developed this bulk SMS comparison site in the field of text messaging so as to assist organisations and individuals to clearly understand what features and services are available from a range of bulk SMS providers. The categories used are easy to follow and the details are presented simply in both content and tabulated format. As can be reviewed from this site, as an Australian SMS provider, DirectSMS offers all year round bulk SMS service offering valued features outlined above. However, their pricing is the most expensive by up to 30% compared to other competitors in the bulk SMS domain and this matter need to be considered prior to engaging DirectSMS. The information provided in this site and our DirectSMS review is a guide to prices and the range of features and may be updated if the bulk providers’ websites changes. Should the bulk provider change its content at any time, this may not be reflected in the authors’ comparison site. If this occurs, please let the authors know and the content will be changed immediately. The Bulk SMS Australia Comparison site is, of course, available to assist you with no strings attached. However, should you use this site to engage their services, then the authors may request a commission from the provider. This review was revised on 10 January 2019.